„Nebelkind“ by Emelie Schepp and „Totentanz für Dr. Siri“ („Disco for the Departed“) by Colin Cotterill are review copies from German publishers which I’m already pretty excited about because „Nebelkind“ has a very interesting blurb and I always enjoy the Dr. Siri mysteries because they are so exotic compared to other crime novels. I also got a few books for Christmas: „Mycroft Holmes“ by former NBA star (!) Kareem Abdul-Jabbar was given to me by my sister, my brother got me „Das gefrorene Licht“ („My Soul to Take“) by Yrsa Sigurdardottir and „Zone 5“ by Markus Stromiedel was a gift from my parents. „The Masked City“ by Genevieve Cogman was a surprise gift from Sandy (thanks again! 🙂 ) and I can’t wait to read it because I loved „The Invisible Library“ and have high hopes for the sequel! „Magruder’s Curiosity Cabinet“ by H.P. Wood attracted my attention because of the amazing and colorful cover and a story about a amusement park full of „freaks, anarchists and madmen“ set in the early 20th century also sounds super interesting to me. „Rewinder“ by Brett Battles has actually been on my wishlist for quite a while and I was surprised that it was still available for request (probably because the sequel „Destroyer“ is coming out in January). I’m always intrigued by stories that deal with time travel, so I hope to enjoy this one as well. 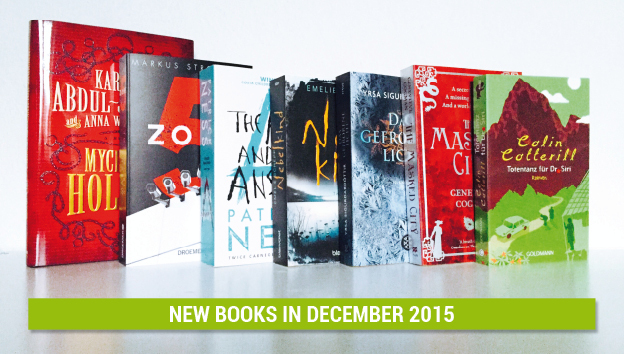 Which books did you get in December? 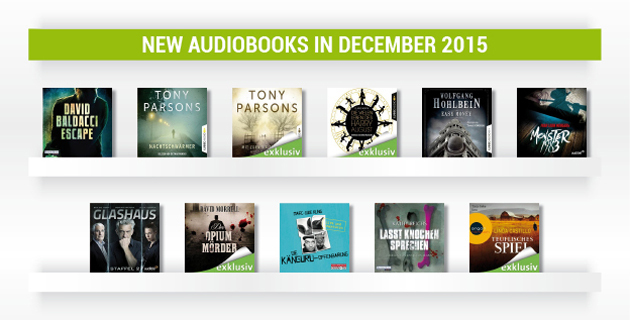 Have you read any of the mentioned books already?